Soothe musculoskeletal pain and pressure safely and naturally. This homeopathic MyPainAway™ FIBRO cream contains arnica, a natural herb used for hundreds of years to treat pain and promote circulation. As it works to reduce the duration and intensity of fibro episodes, it may even help improve sleep and energy. Neuropathy cream assists the body’s natural healing process by helping to reduce excess fluids and toxins and encouraging cell repair. Rub into skin where you feel pain associated with fibromyalgia or neuropathy. Non-greasy, odorless formula contains skin-loving coconut oil. Apply 3–4 times daily, especially at bedtime, in the morning, and before and after physical activity. Contains no parabens or petroleum. I have bulging disc in my lower back and this is the only cream I have found that stops the nerve pain in my back, it also helps with my arthritis and fibromyalgia pain. This product works soon after I apply it to the burning tension in my shoulder/neck area. It is not greasy and no order are a plus. I will buy again. I DON'T have Fibromyalgia. (My hubby does.) Relieves us both! Relieves my muscle spasms & /or muscle pain within minutes - - even when I am in tears! - - not just if applied at the first twinge of pain. Because I can trust it, it calms my fears just as quickly. On good days I use it as a preventative 3times/day, which provides me the break needed to curtail chronic pain syndrome. Praise the LORD! I have neurophathy in my toes and thought I would give this a try. To try to see if this works to help my dear sweet wife! I have fibro and I'm desperate for relief! Trying this item for the first time. Bought one tube last month. Homecare nurse has been applying to both feet, where I have neuropathy in last 3 toes, both feet, 3 times a week. Feet have been feeling a lot better. Homecare nurse suggested I order two more tubes to have on hand, so I don't run out. a lot of pain in my lower back and legs. I have all the medical issues written in description. To get relief would be such a blessing. My shoulder pain prevents me from being spontaneous in doing my daily activities. I'd like to try this to see if it'll help my condition. My husband has neuropathy and I saw this item in the catalog and he wanted to try it. 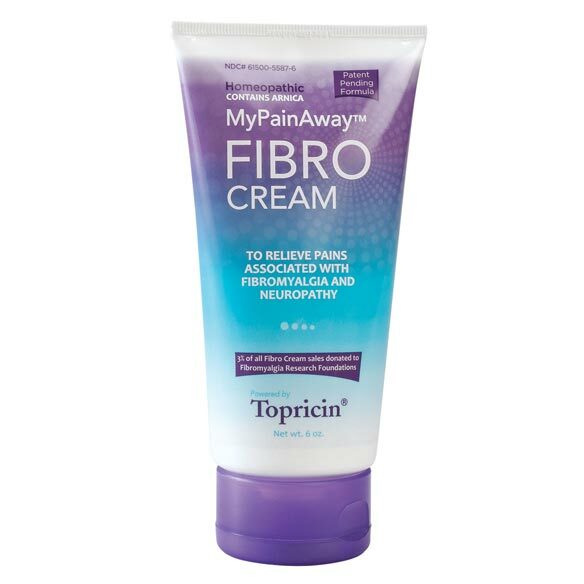 I have fibromyalgia and this cream really helps me with my pain. What are all the ingredients in this? BEST ANSWER: Thank you for your question. ACTIVE INGREDIENTS: (HPUS) Aesculus Hipposcastanum, Arnica Montana, Belladonna, Crotalus Horridus, Echinacea, Graphites, Heloderma Horridum, Lachesis Mutus, Naja Tripudians, Rhus Toxicodendron, Ruta Graveolens, INACTIVE INGREDIENTS: Captex 300, Carbopol Ultrez 10, Cetyl Alcohol, Spectrastat G 2, Glycerine, Hydrokote, Isopropyl Myristate emollient, Lipomusle, Purified Water, Sodium Hydroxide, Steareth-21. We hope this information will be of help to you.